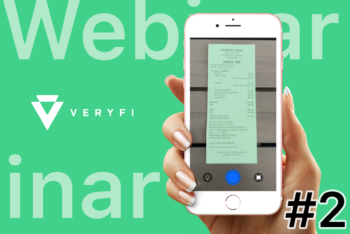 We’re running our 2nd Veryfi Webinar focused on showing you more how to get started & maximize your Veryfi experience. We will also do a Q&A where we answer questions you submitted and questions you ask during the live webinar chat window. This will be an open forum so please bring your questions. If you can’t be with us live, we will have a replay available for a limited time. You must register for the webinar to get access to the replay. Please come join us if you’re ready to learn how to better automate your business bookkeeping and say goodbye to a shoebox full of receipts, paper logbooks, and spreadsheets.